Growing peas vertically is fun, and it’s easy to trellis peas to help save space in the garden. 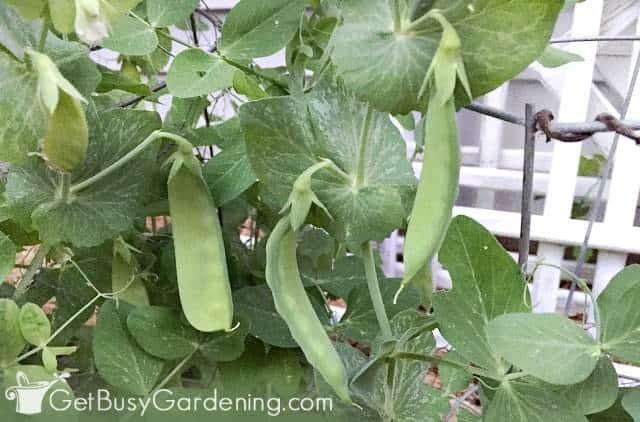 In this post, I will talk about different pea varieties, give you tons of great pea support ideas, and show you exactly how to support peas when growing vertically. 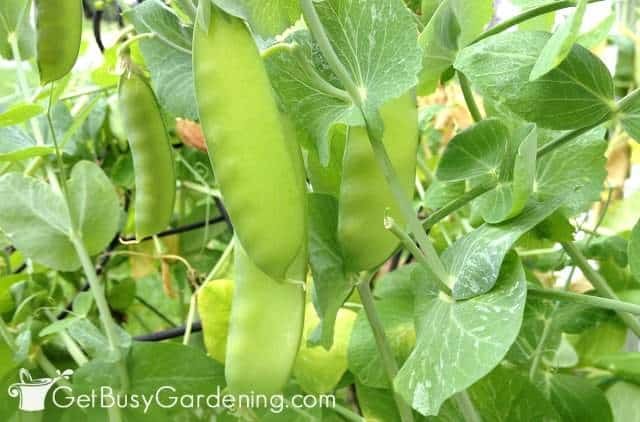 Peas are super easy to grow, and a must for any vertical vegetable garden. They don’t need much space in the garden, and many types of peas do very well in containers too. 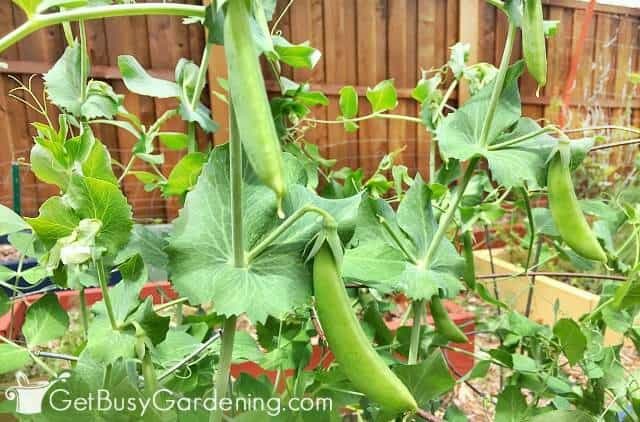 Growing garden peas vertically is also really easy, and even more of a space saver. Leaving pea vines to grow along the ground can lead to issues with disease, fungus and pests. Peas grown vertically are much healthier, less prone to pest and disease issues, and easier to harvest too! But before we jump into the details of how to trellis peas, it’s important to understand that not all types of peas will climb a support. So, before you go picking the best trellis for peas, you should figure out if the kind you have will even need a support. 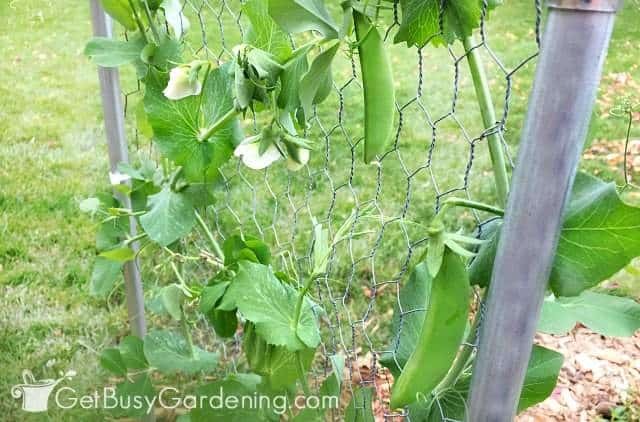 Do You Need A Trellis For Peas? 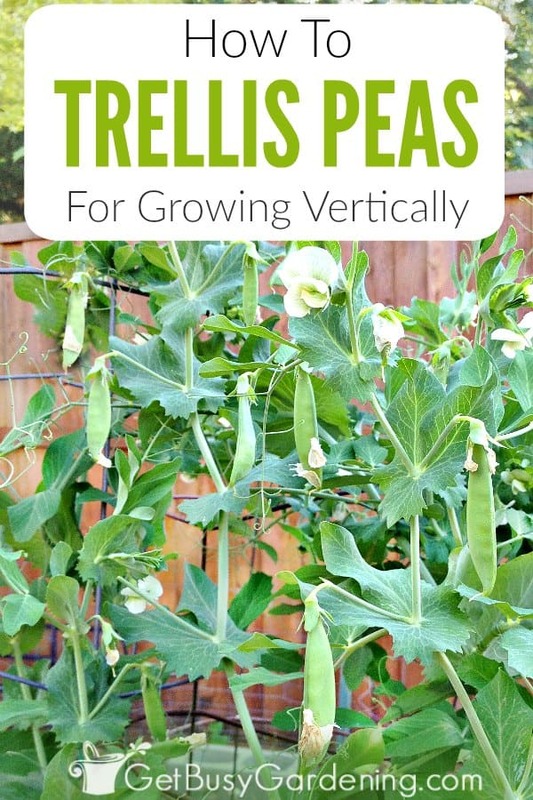 If you’re interested in trying vertical gardening, it’s important to know that there are (very broadly) two different types of pea plants… bush varieties and vining (climbing) peas. The reason it’s important to understand the difference is that vining plants will climb a trellis, and bush varieties will not. You won’t need a trellis for bush peas, but if you’re growing vining peas, then it’s best to give them a support to climb on. Always check the seed packet or plant tag so you know what you’re getting. If you want to trellis peas, then be sure you buy pea plants and seeds for the vining types rather than bush varieties. How Do Peas Grow On A Trellis? Climbing peas send out side shoots, called tendrils, that vine out from the main stem. Those vining tendrils will wrap around anything they touch. Peas are usually pretty good climbers, but you may need to train the vines to grow on a support. 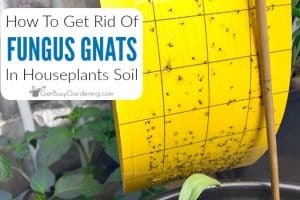 Otherwise, they can grab onto nearby fences, plants or even mulch instead of the trellis. Why Should You Trellis Peas? Growing peas vertically not only looks beautiful, there are also many other benefits. Staking peas, or giving them a trellis support to grow on will give you more space in your garden. Vining peas naturally want to climb up a support, and they can start climbing on nearby plants if you don’t provide a trellis for them. 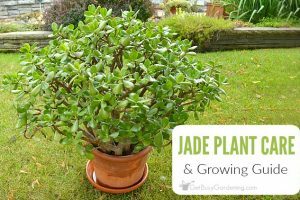 It’s also healthier for the plant, and allows for better airflow around the leaves. More airflow helps to prevent mildew and disease issues. Another benefit of trellising peas is that it makes them easier to harvest, since the pods will hang down from the plant. Trellised peas are also easier to protect from ground-dwelling pests like rabbits or slugs. The basic garden pea varieties are English peas (aka shelling peas), snow peas and snap peas. You may have also heard of people growing sweet peas in their garden. But sweet peas are not edible, they’re just decorative and grown for the pretty, sweet smelling flowers. If you’re looking to grow peas you can eat, then don’t buy sweet peas. For climbing peas, varieties I like the best include Oregon Giant, Sugar Daddy, and Tendersweet. If you’re looking for bush peas, varieties that I like are Sugar Pod Snow Pea, Pioneer Shell Pea and Green Arrow Shell Pea. Pea vines are super lightweight, so you don’t need a heavy-duty structure to support them. But you will definitely want to think about your pea trellis height. Some peas grow taller than others, and the heights of full grown plants usually ranges between 3-6 feet tall. So be sure you choose the right sized support structure for peas, one that is proportionate to the size of the variety you’re growing. Short plants will grow great on small supports like a fan trellis, a pea teepee trellis made out of bamboo stakes, a decorative garden obelisk trellis, a small lean-to style plant support, or a wire tomato cage. Tall pea plants will need a larger structure like a tall trellis, a small garden arch, a large lean-to structure, or a wire a-frame trellis. Arches, lean-tos and a-frames will give you even more room in your garden because you’ll be able to plant shorter crops underneath. It’s also easy to make a homemade pea trellis using things like chicken wire or other garden fencing, lightweight pea trellis netting, or try making a simple DIY bamboo pea trellis. Check out my easy pea arch trellis DIY project if you want to make your own using my design. Like I said above, peas are pretty good climbers on their own. But the vines will likely need to be trained a bit so that they will grow on the vertical support, rather than grabbing onto nearby plants. To train your pea vines to grow vertically, carefully tuck the vines into the trellis as they get taller. Pea vines are very delicate and will break easily when mishandled, so be extremely gentle with them. Peas also grow very quickly, and it can be difficult to weave the delicate vines into the trellis without breaking them. So, it’s usually safer to tie the vines to your pea supports using twine, metal twist ties or flexible plant ties. Just be sure to tie them on very loosely, ties that are too tight can strangle the vines or make them break off as they get taller and thicker. If you ask me, the best way to grow peas is vertically. 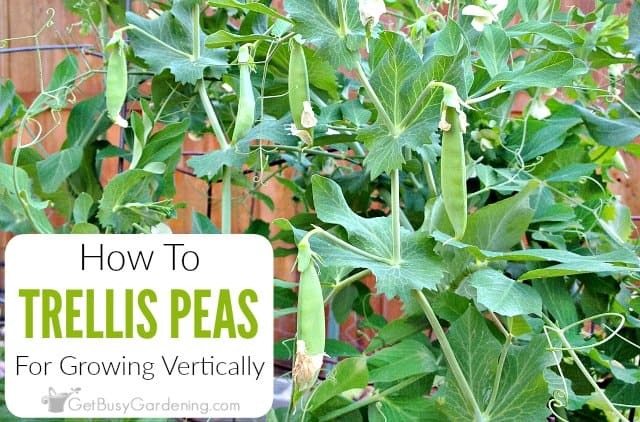 It’s easy to trellis peas, and a great way to try your hand at vertical gardening. Just be sure you know the variety you have so you can buy the best type of support for it. 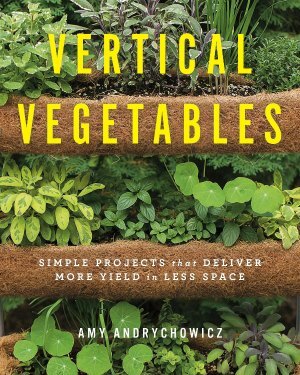 If you want to learn all about how to grow a vertical vegetable garden, then you need my new book, Vertical Vegetables: Simple Projects That Deliver More Yield In Less Space! It’s a vertical gardening book that is specifically dedicated to growing food, plus it has nearly two dozen beautiful step-by-step projects that you can build to grow all of your vegetables vertically! Order your copy today! Learn more even about my Vertical Vegetables book here. Tell us your pea support ideas, or share your tips for how to trellis peas in the comments section below. 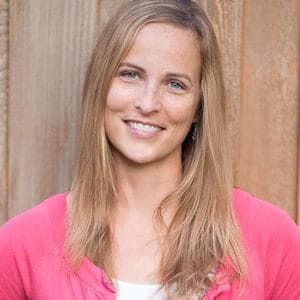 I was looking for a good gardening blog and after going through some others chanced upon yours. 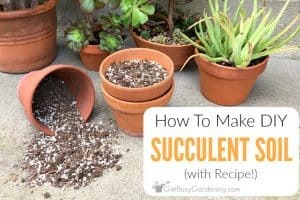 I have been binge reading your blog since last few days….thank you for providing so much helpful information…it’s really helping me learn the essential gardening skills. I read your post on winterizing tropical plants and am really excited to venture into these. I live in zone 6b and have avoided tropicals so far but am going to buy a few now. Is it too late to plant canna bulbs now? I also love gardenias and jasmine. Have you winterzed them and is it easy? 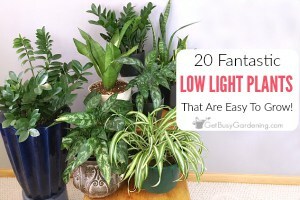 What other tropicals would you recommend that aren’t too difficult to care for? Please let me know your thoughts. Thanks again for a wonderful blog..I look forward to learning more from you. My Tropical Garden – in Minnesota!